The SESAM units are located in each shopping center. Each unit has video cameras connected both fixed and PTZ; the cameras can be connected directly to the video capture card or through a video matrix. Security panels are also connected to the SESAM units. 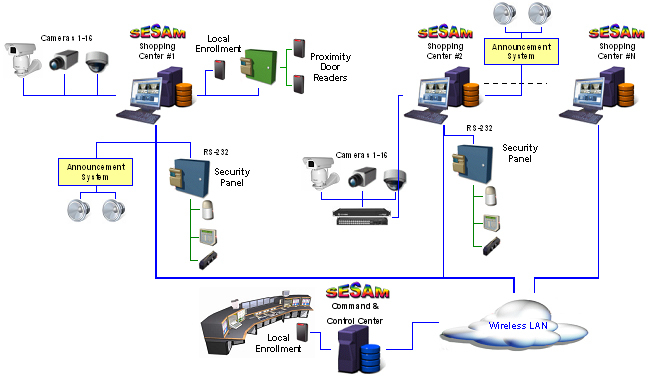 The different shopping centers are connected to the headquarters command and control center over a wireless LAN.